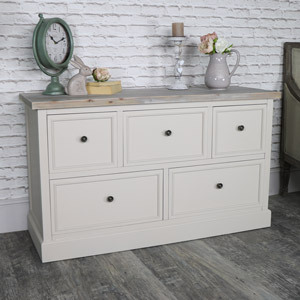 Cotswold Range | Flora FurnitureShop our Cotswold range, beautiful French farmhouse style furniture range in which you could furnish an entire home; from living room to bedroom or dining room to kitchen! 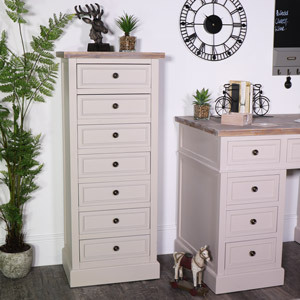 The Cotswold range is a beautiful French farmhouse style furniture range in which you could furnish an entire home; from living room to bedroom or dining room to kitchen! 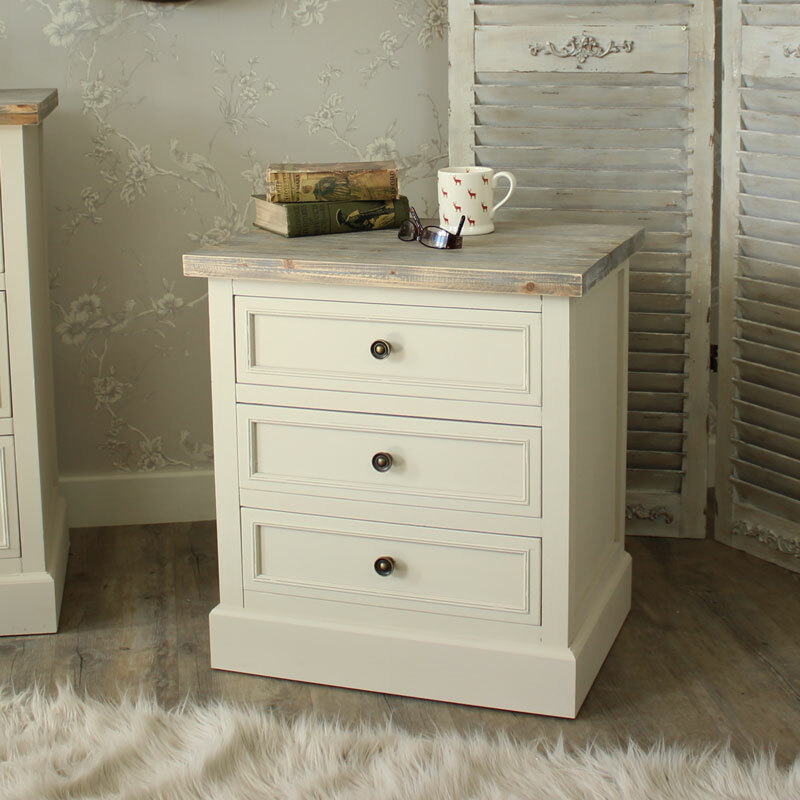 Perfect for those who prefer the less shabby chic furniture. 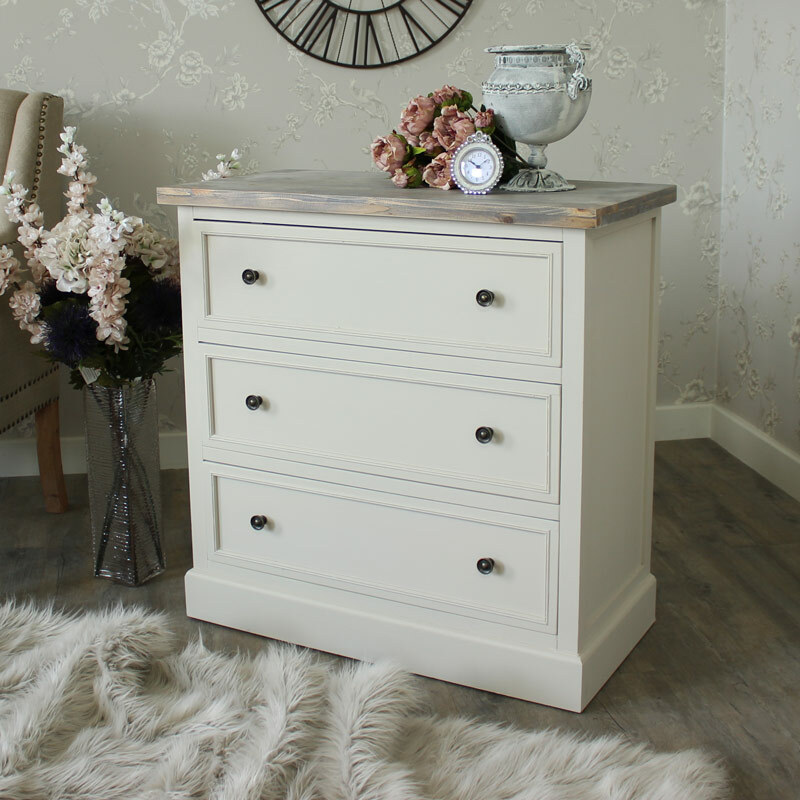 From large chests of drawers to coat hooks. 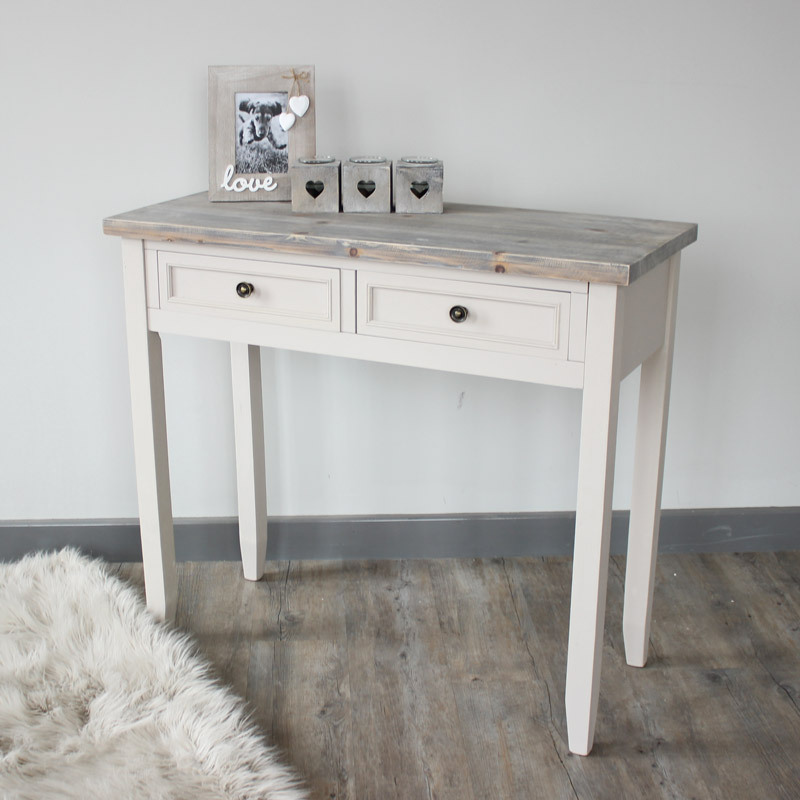 Painted in neutral undertones complimented with a touch of natural solid fir wood. 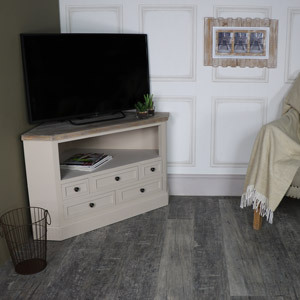 It's colouring is a warm mushroom grey. 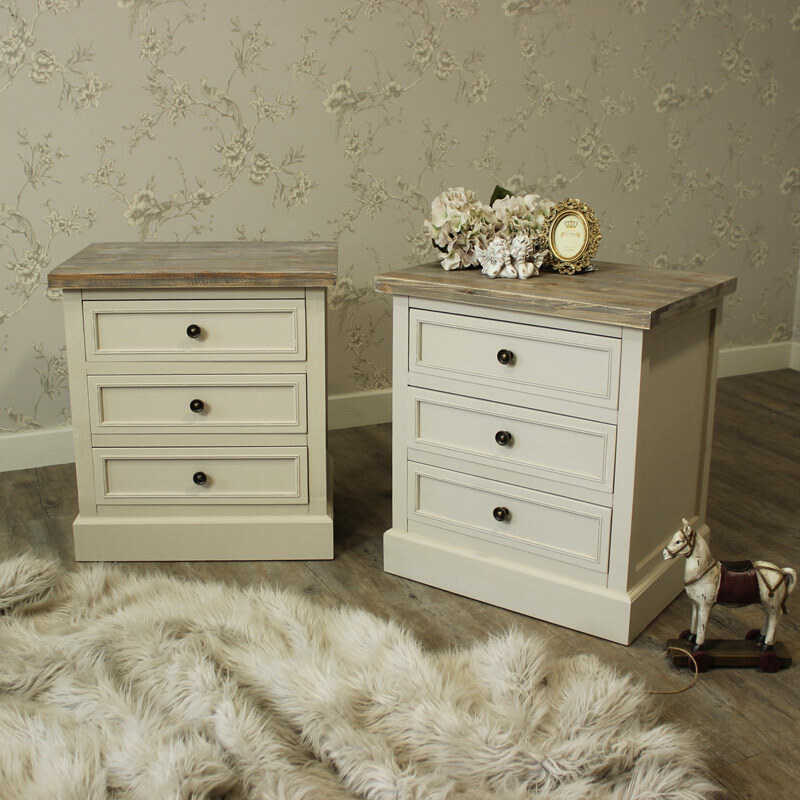 We have a variety of chests of drawers available in all sizes, Wardrobes, display cabinets, Dining tables, blanket boxes, large sideboards, bedside tables, console tables, dressing tables, dressing table sets, wall mirrors, coffee tables and a beautiful coat rack bench. 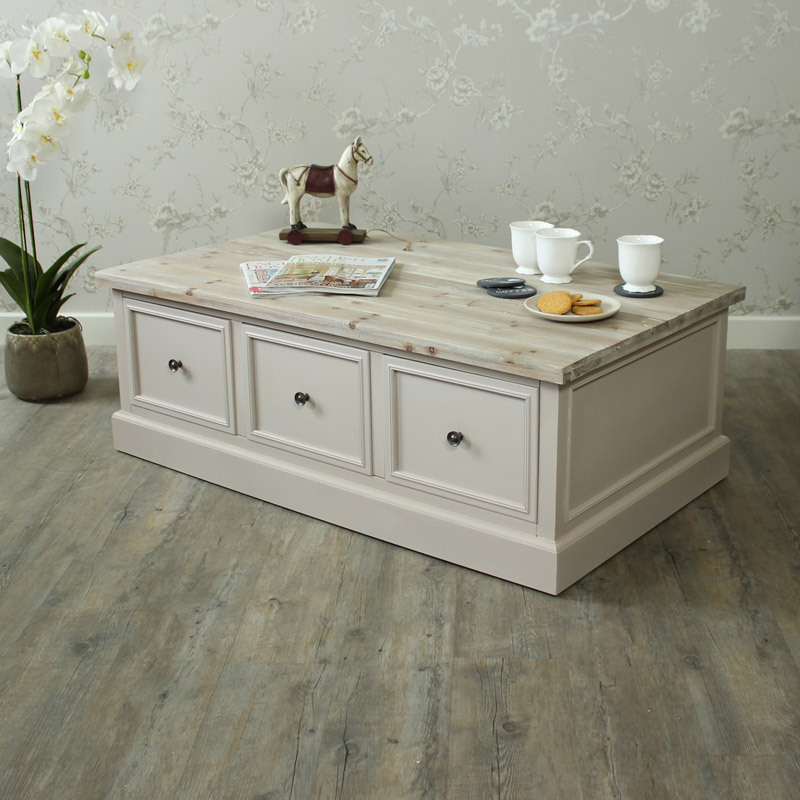 You can furnish your whole home with this large collection of beautiful furniture.